This title will be auto-delivered to your Kindle on 19 September 2019. 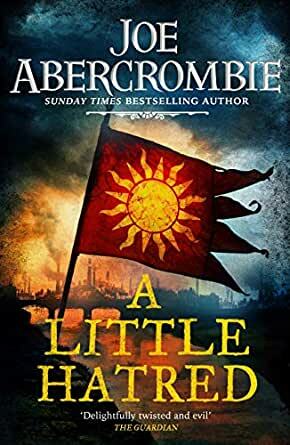 Introducing a cast of unforgettable new characters, A LITTLE HATRED is the start of a brand new trilogy set in the world of the First Law which will have you gripped from the very start . . . The Age of Madness has arrived . . . The age of the machine dawns, but the age of magic refuses to die. With the help of the mad hillwoman Isern-i-Phail, Rikke struggles to control the blessing, or the curse, of the Long Eye. Glimpsing the future is one thing, but with the guiding hand of the First of the Magi still pulling the strings, changing it will be quite another . . .